So after reading more and more about this Megatron situation, it's starting to sound very similar in reasons why Barry Sanders walked away so early, because he was tired of losing and wanted another opportunity to get a ring and in both cases the management didn't want to let them go. I really don't understand why management wouldn't just trade him for draft picks to help improve our player situation. Seem like the most respectable thing for us to honor him would be trade him some place he could get a ring. Our GM has Pat's on speed dial and Tom has been dying for someone of his caliber since losing Randy Moss not that it's showed. I feel like we hurt ourselves with these decisions that ends up benefiting no one. We honestly should have considered trading him during our delimma to sign Suh. We could've traded him an got picks and improved a defense with Suh as our cornerstone. I hope with Bob Quinn, he brings that Patriots thinking to the Lions Front Office. They have no problems getting rid of star players for compensation going back to the Ty Law and Lawyer Milloy days. An you would think after we watched Barry Sanders walk away from football without pursuing proper compensation, Lions wouldn't make that same mistake with Calvin. We should have identified his injuries mounting up and level of play decreasing an traded him making both party's satisfied involved. Now he's walked away from football unsatisfied and our team will never benefit from the compensation we could have got from him. Actually, I think the situations are completely different. Fist off with Sanders the Lions were on a definite downswing they fired his Coach (Fontes) and were losing most of their best players with an aging roster. 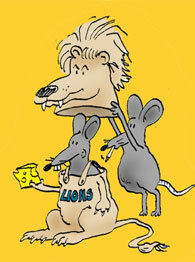 The Johnson's Lions, on the other hand, had shown promise with Caldwell once Lombardi was shown the door. Most of the Lions best players were either in their prime or on the rise it wasn't an aging roster. The other big difference is that unlike Sanders - Johnson was going to have to take a huge pay cut to play just like Larry Fitzgerald did. Let's face Johnson was not Megatron after the midway point of the 2013 season. Golden Tate was more effective his last two seasons. The entire Lions offense had been designed around Johnson but with Cooter, the offense was now going to be designed around Stafford. When Barry walked away I think Barry just had enough he was never a diehard to him football was a job and he already made all the money he cared to make so he left. With Johnson, I get the feeling of 'sour grapes'. He was going to have to take a pay cut and because of injuries he just wasn't the player he once was he was going to have to re-invent himself kind of like how Larry Fitzgerald did. He didn't want to do either so walked away. In any or either case, my point is... Why didn't the front office identify these issues especially in Calvin's case with our team on the uprise and trade him away to a much happier place for compensation. If he stopped being Megatron in 2013, it should come down to us keeping Suh or him and he should been traded to guaranteed Suh being locked in before becoming a Free Agent and we get maybe some draft picks from the trade. We end up losing Suh with nothing to show and turn around losing Calvin a year or two later with nothing to show. How come all these all teams get to benefit by trading there best players and we watch ours go into "disgruntled retirement", instead of giving them what they want and get something in return for it. CJ's contract has been impossible to trade for almost the entirety of his career. Mayhew wrecked any chance to move players like CJ or Suh by constantly restructuring their contracts. In addition to that no matter what route they would have went it looks bad for the Lions. If he was traded all the talk would have been about how little they got back for a legacy player like CJ and what a blunder it was being unable to retain him. The Lions did the smart and most sensible thing by retaining his rights, while drawing a line that if CJ has interest in playing it will be with the Lions. I don't care about CJ's feelings, if the team is getting pennies on the dollar back while eating a load of dead money then i would rather keep his rights and not help another team. Pretty much no team was going to trade for CJ , a receiver on the downslide and nagging injuries, with a 24mil cap hit. And on the flip side, I don't blame him for not wanting to restructure to earn 1/3 of that, either with the Lions or another team. In the end, Calvin did what was best for him, and as fans we got to see one hell of a receiver. Detroit couldn’t have traded Johnson even if they wanted to. Honestly, the Lions should have cut Johnson (his contract wasn’t tradable) and signed Suh but there are multiple problems with that starting with Suh didn’t want to be here and he is a mental case. I don’t think anybody thought Johnson wouldn’t bounce back from his injuries but he went from a guy that took 3 guys to cover him to a guy that could be covered 1-on-1. His only big games in last two years came against awful defenses like the Bears. It took Barry Sanders like 10 years to talk about the Lions even after years of Matt Millen's incompetence. Where Johnson one season removed is already complaining about a team that made the playoffs without him. The funny thing is the lions made the playoffs without Barry the very next year also. I really do wonder whats going on with Megatron right now though. His wife worked for the Lions and he met her through that connection. He seemed to be a take the high road type of person up until now. Maybe there was some kind of arbitration going on behind closed doors and the Lions went beyond the league norms in asking for signing bonus payback? Maybe he wants to come back but play somewhere else? Its just very odd that he went from a guy that seemed happy as a clam in retirement with no regrets about walking away to alluding that he just wasnt happy with his situation and that if he couldve gone somewhere else or been winning more he would still be playing. They paid him a lot of money to be the teams best player, a lot of that is on him. Whos the guy that fumbled into the end zone against Seattle, bobbled a game winning TD into a game losing INT against Tampa - thats on Megatron not the front office. I wonder what former teammates think about what he s saying, he s basically throwing them all under the bus. As it turns out, having Megatron at $20m against the cap and being merely an above average WR was hurting the Lions. Under the Lions cap situation he was closer to a part of the problem than a solution. Next time he thinks about opening his mouth he should remember that the Lions made the playoffs without him. Stafford never received more praise than he did with Megatron gone and did so with a defense that still struggled, had numerous injuries at RB and just an average WR replacing Megatron in the lineup. So, after reading more about the CJ situation I notice that I am only getting CJ's side of the situation. Are you happy where you work? Are you being treated the way you think you should be treated? Is your employer doing things the way you think they should be doing them? Are you being paid the amount you think you should be paid? If you got a cash advance for the next six months and then quit after only five months, don't you think your employer should be able to get the balance of their money back? Would you be happy about that? The odds are there are more than a few no's in regards to those questions. We all have a beef about something. How often have we thought we could draft better throwing darts blindfolded? I have no doubt that Quinn would have traded CJ in a heartbeat for the right deal. I think Quinn will trade anyone on the team for the right deal, including Stafford. That deal would only come from someone desperate to make that last step to get to the SB. Chances are it would be a one and done attempt with a major rebuild happening after that. The perennial winners don't mortgage their futures that way so I don't think CJ would have been happy either way. There is nothing stopping anyone from seeking to acquire the Rights to CJ and CJ could probably negotiate a buy out of his Rights if he really wanted.